Special tonguing techniques are used throughout this piece. 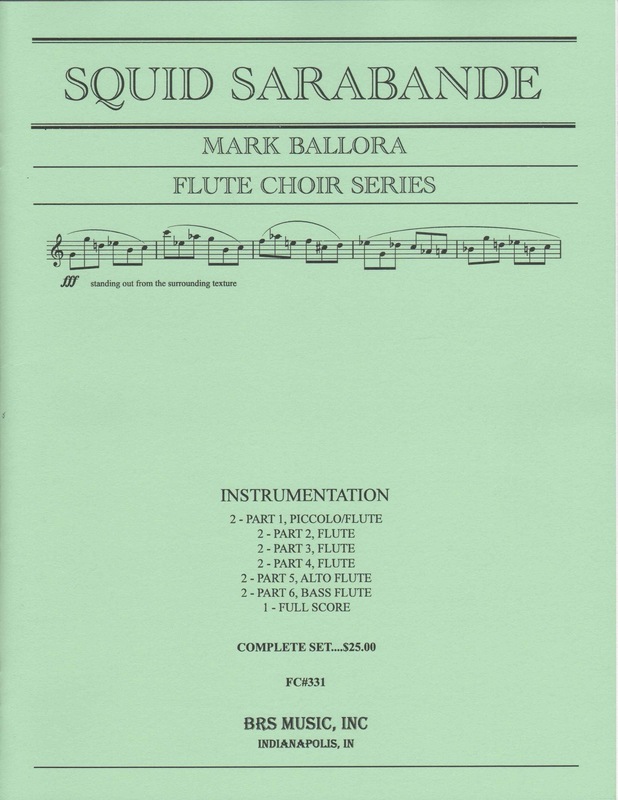 The piece has 6 parts, piccolo/flute, three flutes, alto flute, and bass flute. Impressionistic, textural, and modal, this piece attempts to evoke the ambience of the underwater world, and the mesmerizing characteristics of the deep sea squid. It requires ensemble playing and good tone control, and features special techniques such as flutter tonguing, pizzicato, and tongue rams. This is a finalist in the NFA Newly Published Music Competition in 2012.